The Bioinformatics Research Group (BioRG) belongs to the School of Computing and Information Sciences, at Florida International University (FIU). Prof. Giri Narasimhan heads this multidisciplinary research group, which works on problems from the fields of Bioinformatics, Biotechnology, Data Mining, and Information Retrieval. 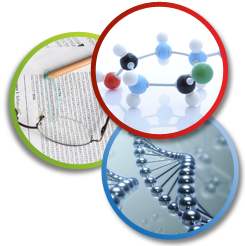 The group's research projects include Comparative Genomics of Bacterial genomes, Metagenomics, Genomic databases, Pattern Discovery in sequences and structures, micro-array data analysis, prediction of regulatory elements, primer design, probe design, phylogenetic analysis, medical image processing, image analysis, data integration, data mining, information retrieval, knowledge discovery in electronic medical records, and more.